Apples are a fruit which are harvested from late summer through autumn, but are stored in a way that they are sold year round. Apples are rich in phosporous, anti-oxidants, B-complex and vitamins C, B, PP, and E.
There are more than 250 varieties of apples in Italy. The most important groupings in order of importance are the Golden Delicious (includes the Stark variety), the Red Delicious, and the Rome Beauty (includes the Imperatore variety). Other important varieties include the Renetta, Granny Smith, Stayman, Ozark Gold, and Gravenstein. There are some notable native Italian heirloom varieties such as Limoncella and Annurca which are entirely unique. Buy: Apples range in colour from green to yellow to red to a combination of any of these colours. Look for apples which are fragrant and have firm flesh which is free from holes, bruising, and soft spots. You can squeeze an apple to test for firmness and smell it to determine if it has any fragrance. They do not need to be completely free from brown spots and wrinkles if they are to be cooked. Ideally apples should have a hint of tartness while maintaining their sugar. They should be firm and juicy. The variety will determine how sweet or tart an apple is and how crunchy or soft the flesh is. 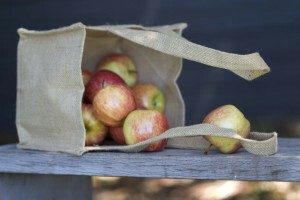 The apple’s attributes will determine if they are better for eating or cooking, or can be used for either. Test the apple for its texture and flavour when cooked by peeling a piece and boil it in water until tender. Prod it with a fork to see if it retains its shape or mashes easily. Taste to see if it is flavourful or watery and how sweet it is. The best apples for flavour are from Trentino Alto-Adige and the Annurca variety from Campania. Golden Delicious is sweet and flavourful and can be used for both eating and cooking. Granny Smith variety is tart and crunchy and good for cooking. 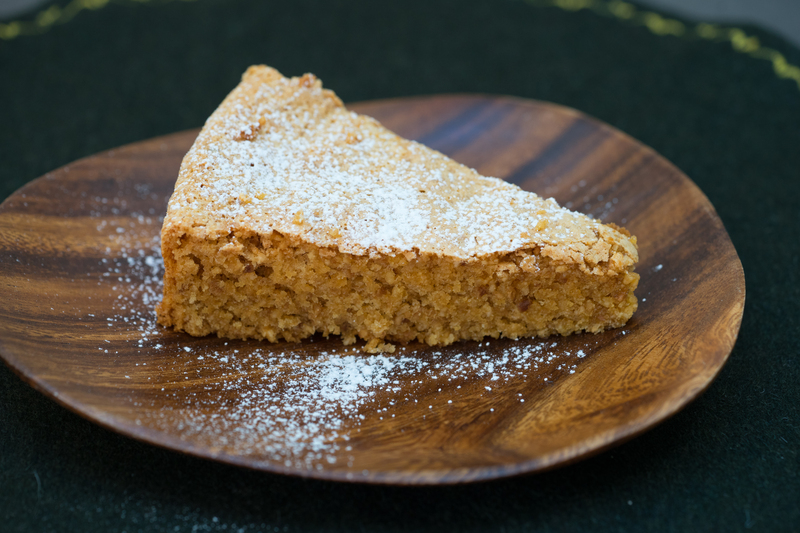 They are good for baking as they retain their shape, and their tartness offsets the sweetness of the dessert, but the flavour is not very complex. Gravenstein is juicy and tart. Imperatore is large, juicy, and crunchy and can be used for eating or cooking. Jonathan is tender and juicy. Ozark Gold is juicy and tart. Red Delicious is generally better for eating than cooking. Stark is sweet and flavourful and can be used for both eating and cooking. Store: Apples can be stored in a dry, cool, dark place or in the refrigerator for a few weeks, but should be placed apart so they are not touching. If kept at room temperature, apples can overripen quickly. Prepare: Apples should be rinsed in cold water. For dessert preparations requiring cut apples, use a paring knife or vegetable peeler to remove the skin. Supermarket apples are often coated in wax so you will want to peel these anyway. You can use an apple corer to remove the core particularly where the apple is to be used whole. Otherwise a paring knife can be used to slice the flesh away from the core if the apple will be cut up. Apples which are not going to be used immediately can be tossed with lemon juice to prevent them from browning. When cooking, adding sugar and/or butter together with the apples will inhibit disintegration. Eat: Apples are eaten raw, used to flavour liqueurs, and prepared in desserts such as strudel, tarts, fritters, biscuits, crepes, fruit salad, baked apples, stuffed apples, and pastries. Apricot by Gelateria De’ Coltelli www.decoltelli.it&quot. Apricot is a soft, round, stone fruit with a fuzzy skin that ranges from yellow to orange in colour. It has a delicate flavour and is both sweet and acidic. It is in season from June until August. 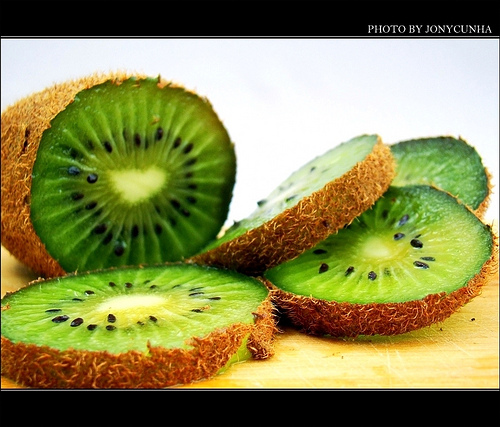 It is rich in vitamins A and C, potassium, carotene, magnesium, iron, and calcium. In Italy the varieties Cafona, Boccuccia, S. Francesco, Reale d’Imola, Precoce Cremonini, and Caldesi are eaten. 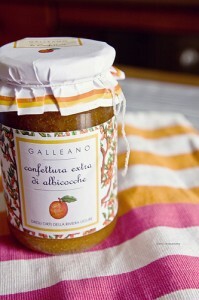 Buy: Apricots can be bought fresh, dried, candied, or made into syrup (sciroppata), liqueurs, conserves or jam. Fresh apricots do not continue to ripen once picked, so buy ripe apricots. Ripe apricots are soft to touch when gently squeezed, not hard. They should also be plump, blemish free, without any hints of green or pale colour. They should not be soft, mushy, mouldy, or have dark spots. 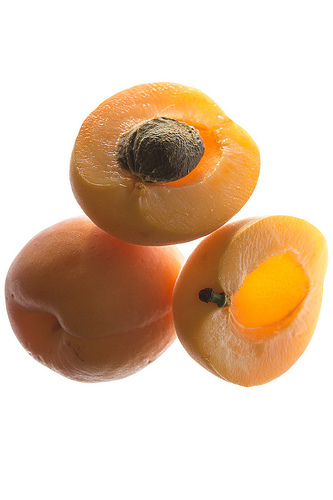 Store: Ripe apricots can be kept, loosely covered, in the refrigerator for 2 days. If the apricots are a bit too firm, keep them at room temperature for up to two days until they soften and then store them in the refrigerator. Prepare: Rinse the fruit with cold water. Cut the fruit in half using the line in the skin as a guide and twist apart to remove the pit. Both the fruit and the nut inside the stone of the fruit are eaten in Italy. To extract the nut, bake the pits on a tray at 150˚ C for about 15 minutes and crack open with a nutcracker or hammer. Roast the extracted nuts for about 10 minutes. The nut is used in making amaretti cookies and the liqueur Amaretto Di Saronno. The nut is eaten in small quantities however. The nut inside the Reale d’Imola variety is sweet while the nut inside the Precoce variety is bitter. Eat: Apricots are eaten fresh after meals or used in desserts in Italy. They are used in cakes, tarts, stewed, pudding, coulis, dumplings (strucolo), and as a syrup for whipped cream. They can also be used as a substitute for plums in the savoury dumpling dish, gnocchi di susine. This is a traditional way of preserving fruit so that it can be used when not in season. Generally the fruit is cooked with honey or sugar and sealed in glass jars. These are dark purple berries which are a grouping of sacs filled with juice and seeds. Blackberries are fruit which are in season at the end of the summer and beginning of the autumn with the peak months being July and August. They are rich in vitamin B1, vitamin C, and minerals. The best varieties are the American black satin and thornfree. Buy: Blackberries tend to be wild and are available frozen or fresh. Buy fresh blackberries which are soft to touch, dry, plump, shiny, black, and free from bruising. They should not be shrivelled, dried out or mouldy. 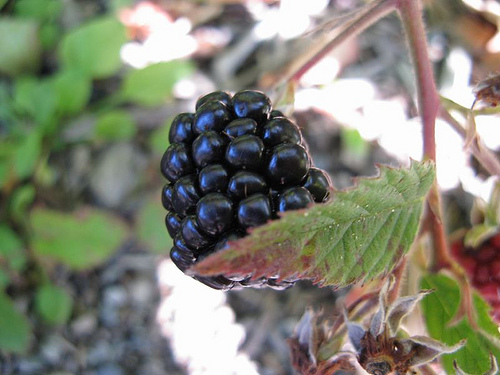 Blackberries can be black and still be sour so check to ensure they are ripe by touching to see if they are soft. They should not have the stem attached or have any redness to them or they will not be ripe. There should not be juice in the packaging as the berries will be damaged and then very quickly mould. Turn over the packaging to check the bottom for any juice or mould. If you buy berries loose, then package them in smaller packages of 200 grams each so that the weight of the berries don’t crush the ones on bottom. Store: Berries mould very quickly so they should be used as soon as purchased. The berries should be placed on trays lined with paper towels so that they are not touching each other in a single layer and placed in the refrigerator for 1 to 2 days. Throw away any soft berries as they will mould quickly. Otherwise, they can be rinsed and frozen on trays lined with parchment paper. Once frozen, they can be sealed in bags and kept in the freezer. Prepare: Rinse with cold water, pat dry, and use whole. Eat: Blackberries are always included in any “woodland fruit” (ai frutti di bosco) preparation. They are eaten on their own after lunch together with strawberries and raspberries. They also pair well with peaches, apples, pouring cream, whipping cream, or cream flavoured gelato. Blackberries are used in tarts, pies, dumplings, cakes, candies, fruit salads, jams, syrups, gelato, sorbet, and to decorate biscuits. Normally the first berries of the season are used to make mixed bowls of berries and later in the season they are used for baking, gelato, jams, and syrups. Blueberries are a fruit which can be wild or cultivated. In Italy there are wild blueberries which are blue, black, and red. Cultivated blueberries are always blue with a silvery bloom and are much larger than wild ones although have less flavour. Blueberries are a fruit which are in season from late spring through summer. 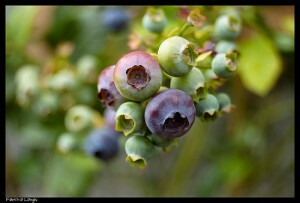 There are many varieties of blueberries which range in intensity of flavour but at the store they are rarely labelled. Buy: Buy blueberries which are plump but not hard. Don’t buy blueberries which are shrivelled, have soft spots, are broken, mouldy, or have juice in the packaging. Smell them to make sure there is no spoilage. Make sure to look at the bottom of the packing for signs of spoilage. If they are bought loose, only package 200 grams at a time to ensure they don’t crush each other. Store: They can be kept spread on a sheet pan in in the refrigerator for up to a week (discard any mouldy berries). Prepare: Rinse in cold water and remove any stems. Discard and mouldy or shrivelled berries. Eat: Blueberries are eaten in Italy fresh with gelato or semifreddo or made into gelato, drinks, jellies, jams (confettura di mirtilli), or in desserts (crostata di mirtilli, torta di mirtilli). They pair well with lemon. There are more than 700 varieties of figs and their season depends on the variety as some varieties only produce fruit once a year while others produce several times a year. Typically mature figs are in the markets at the end of summer, although there is a variety which matures in July called fiorone which are tasteless but juicy. The white varieties tend to mature in August and September and are used in syrups, are candied or are made into preserves. The most prized varieties are Dottato / Ottato, S Vito Albo, Gentile bianco, Moscadello, Verdello, Genovese, and S. Pietro. Buy: Figs are a fruit which are sold fresh or dried (fichi secchi), sometimes stuffed with nuts. 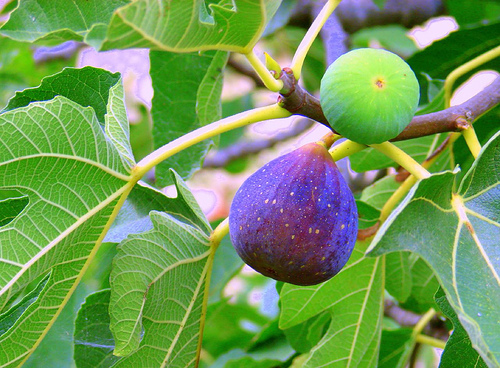 Figs have an edible skin which can be purple, green, white, black or brown. The interior flesh can be a deep purple, red, or pink colour with many tiny seeds. Look for figs which have juice leaking from the bottom of the fig and feel heavy for their size. Because figs are extremely perishable there is a temptation to pick them while unripe but once they are picked they do not continue to ripen much. There should be no white milky liquid on the stem end- an indication the fig was picked unripe. They should be plump, and without any mould or wrinkles on the skin- a sign that they are dry or rotten inside. Very ripe figs will be soft to touch, may have small cracks in the skin, and may have a bend in the stem. The flesh should be juicy without any sign of drying seeds. They should be extremely delicate and soft so are difficult to transport. Dried figs can be sold as they are or stored in earthenware or glass jars with bay leaves. Store: Figs are best eaten as fresh as possible but can be stored on paper at room temperature for up to two days. Be careful of any mould and discard any figs with signs of mould immediately. Prepare: Rinse the figs with water and cut off the stem. If the skin is thick, then peel them. To dry figs, leave them for a week in a dry place in direct sun, or dry in a low oven or dehydrator for 12 hours. Eat: Figs are good eaten on their own, with prosciutto as a starter, stuffed, or used in desserts. They can be served raw for dessert with cream, custard, or macerated with sugar and liquor. 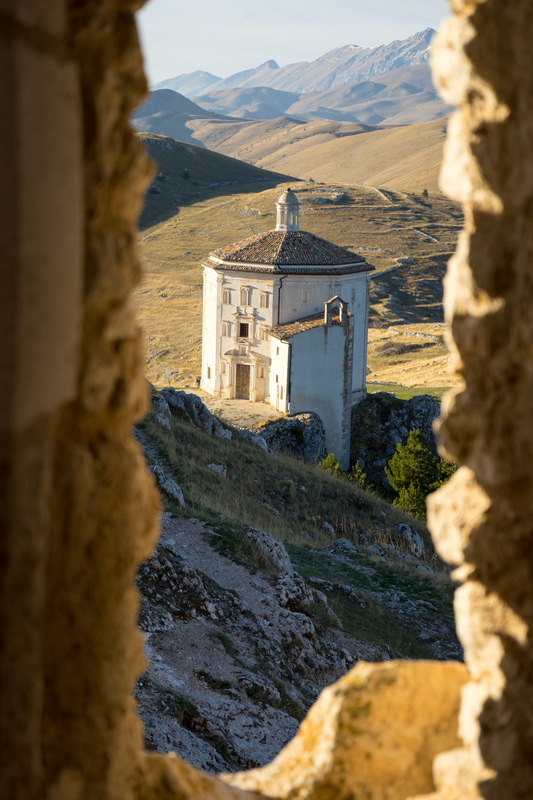 They are also baked with wine and sugar and served cold, caramelised (fiche caramellati), made into tarts (crostata ai fichi), or with Bavarian cream (bavarese ai fichi). Figs can also be baked into bread (panficato). 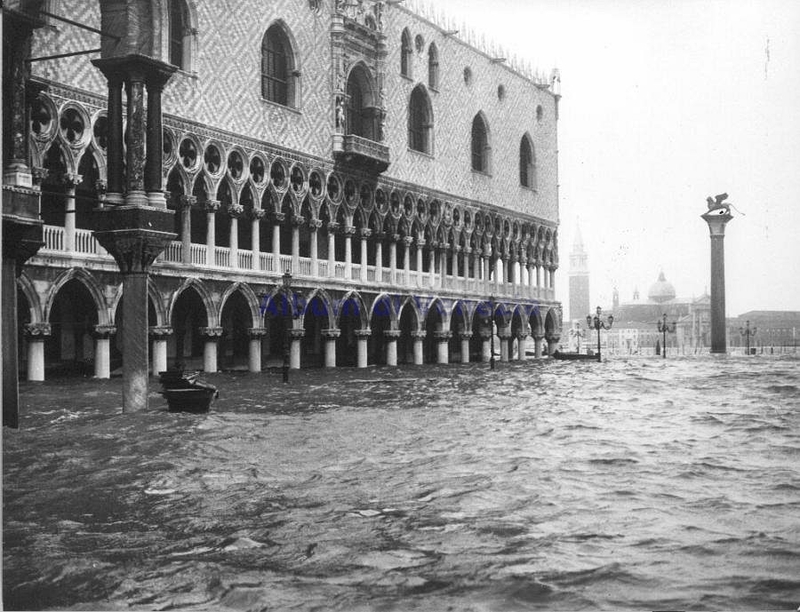 In Venice figs are cooked with liver (fegato coi fichi). In Roma, figs are often used in both savour and sweet dishes. Dried figs can be minced and made into cakes (pitta ‘mpigliata, frustingo,panetto di fiche, panforte) or stuffed (bratte/crucette/padruni). Grapes are in season from July until December. One of the most prized varieties is called Italia. There are two main types of dried grapes: raisins- the large sweet ones from Malaga and sultanas (passolina)- the smaller less sweet ones from Sultana. Buy: Grapes are a fruit that can be green, red, purple, black, or white in colour. Some have seeds. 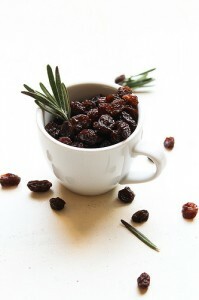 They are sold fresh or dried (which are called raisins (uva passa/uvetta)). When buying grapes look that the red, purple, or black varieties do not have any hints of green colour and that green grapes do not have any yellow tones. The stems should look fresh but may have a few brown patches. The grapes should be firmly attached to the stem although there may be some loose ones in the container. It is best if you can taste the grapes before buying. Ensure that there is no sign of wrinkles in the skin or brown patches near the stalks. The grapes should not be soft, mouldy, or discoloured. Look for fat, plump grapes without any signs of browning or splitting grapes. Store: Grapes can be stored wrapped in perforated cling film in the refrigerator for about 3 weeks. Prepare: Grapes only need to be rinsed in cool water before serving. If you want to seed the grapes, half them first to remove the seed or use the “U” part of a paperclip to insert into a whole grape and remove. Eat/Drink: Grapes are typically eaten fresh or made into juice or wine. Wine is very often added to savoury recipes early on or used to marinate meat. The grape skins and seeds leftover from making wine are made into grappa. Grapes are rarely cooked in recipes although there are exceptions (tordi con l’uva, quaglie all’uva, fegatini di pollo con l’uva, sòma d’aji and schiacciata con l’uva). Raisins are added to desserts, salami, sauces and relishes. Sultanas are added to savoury dishes in Sicilia such as pasta dishes (pasta con le sarde), caponata and fish and meat main courses (involtini alla palermitana, braciole di spada, ghiotta). Grape juice/must is boiled down to a syrup (sapa/saba/mosto cotto) and sometimes flavoured with fruit or spices. The hazelnut is rich in protein and adds texture to a dish. Hazelnuts can be brick-red or brown and can be elongated or round. Generally the elongated varieties are not as prized as the round ones. Although one of the most prized hazelnut varieties in Italy is the San Giovanni which is elongated. 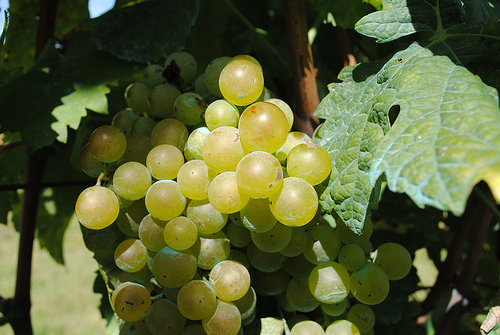 Other prized varieties are the round Tonda gentile delle Langhe and the Romana gentile. They are harvested at the end of the summer. 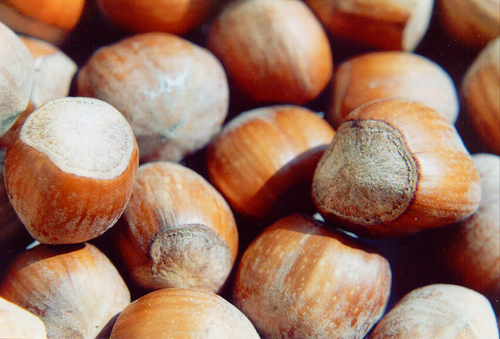 Buy: The best hazelnuts in Italy, Tonda gentile delle Langhe, come from Piedmont. Hazelnuts are sold in their shells or shelled, salted or unsalted, and roasted or raw. I prefer to buy shelled, raw, unsalted nuts as once they are roasted, they do not last as long and I can roast them freshly before cooking them. Hazelnut oil is also sold. Store: Hazelnuts are best stored in the refrigerator or the freezer, wrapped in a sealed container. The cold will slow the oils in the nuts from going rancid. If the nuts have gone rancid, they will smell off and have a stale taste. Prepare: Hazelnuts are normally lightly toasted and skinned before eating or cooking. Place the nuts in a frying pan over low heat and shake the pan until the nuts are evenly toasted, the skins start to crack, and smell nutty, 10-15 minutes. Be careful not to scorch the nuts. They can also be placed in a single layer on a baking tray and placed in a 150˚C oven for 15-20 minutes. Place the nuts in a towel and rub them in the towel to remove the skins. Any hazelnuts which do not easily shed their skins can be toasted a few minutes more and repeat. They can then be cooled and used whole, chopped, or ground finely. The lemon was probably introduced to Italy by the Arabs in the 9th to 11th centuries. Lemon is rich in vitamin C. Lemon is in season year-round but in particular in the summer (verdelli), winter (primofiore), and spring (bianchetti). 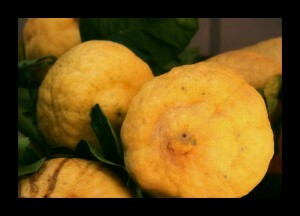 Sicilia produces 90% of the lemons in Italy. 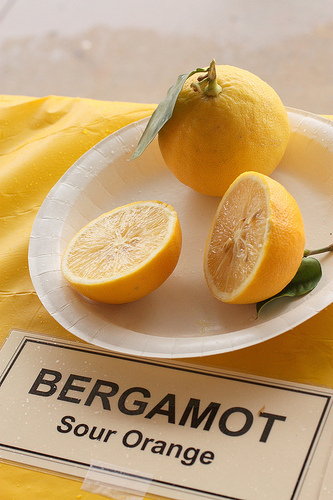 Notable PGI varieties of lemons include “limone costa d’Amalfi”, “limone femminello del Gargano”, and “limone di Sorrento”. Buy: Lemon is a citrus fruit which can be large or small with a thick and bumpy skin or thin and smooth skin. As lemons are more abundant during the fall, winter, and spring, producers harvest unripe lemons and put them in cool storage so that they mature slowly for up to 6 months, in order to more evenly spread out the harvest. While lemons do not get sweeter or improve in flavour once picked, they also do not lose much weight or juiciness from long storage or transport. Look for lemons with are heavy for their size and have evenly coloured, smooth, thin, unblemished skins. Thick or rough skins on lemons which are light-weight for their size will lack juice. They should have a vibrant yellow colour to the skin with a moist sheen not a dry, dull light-yellow skin. They should not have bruises, holes, dampness, or soft spots. Buy unwaxed lemons if you need to use the zest, although unwaxed lemons are more prone to moulding so use them quickly. Smooth skinned lemons tend to have more juice. Store: Yellow lemons can be held at room temperature for up to a week, or in the refrigerator for a month. Green lemons can take a few weeks at room temperature to ripen and turn yellow. Unwaxed lemons should be kept in the refrigerator for 4-5 days. Prepare: If the lemons are waxed and you want to use the zest then scrub the lemons under cold water to remove the wax. The vitamin C in the lemon juice is destroyed by heat so it is best added at the end of cooking. Eat: Lemons are used in both savoury and sweet dishes. They are also used to coagulate eggs and milk fats in cheese making. They are used in cooking fruit to retain the shape of the fruit and in soaking water when preparing vegetables that oxidise such as artichokes. Lemon juice is also used to “cook” raw foods such as fish and meat. 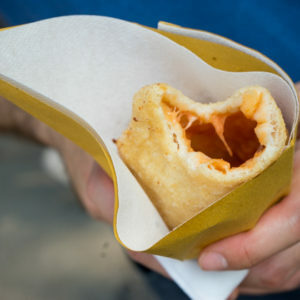 It is also used to dress salads, vegetables, seafood, fish, and deep-fried food. Lemon is used in drinks (limonata, vino caldo), liqueurs (limoncello), syrups, jams, sorbets, and gelato and is used to flavour cakes, custards, tarts (crostata di limone), and pastry. Melon is a fruit which is in season during the summer. Buy: Buy a melon which is blemish free, is heavy for its size, and smells fresh and sweet, but not overly sweet. Don’t buy melons with green skin. Select the more flavourful, male melon which has a black spot on the end opposite the vine end. 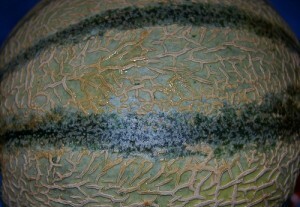 A ripe melon often has a flattened side where the skin is paler (on a watermelon this should be yellowy not white or green). The fruit should feel heavy for its size, be firm, plump, and have no blemishes on its skin (soft spots, scarring, or bruising). The stem should be moist but not mouldy and have a clean scar. A light cracking at the stem is a sign of ripeness. Netted melons should have no bald patch and if pressed at the stem end they should feel slightly springy (firm means it is unripe and soft means it is overripe). If you shake the melon and hear a sloshing sound, the fruit is overripe. 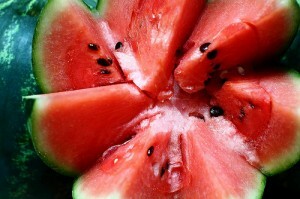 Watermelons should sound hollow when tapped and look for skin which looks waxy and dull. Watermelons should be heavy for their size, and large for their variety. Winter melon (Cucumis melo inodorus) has a thin, smooth green or yellow skin with whitish flesh and is in season during the winter. Summer melon is either a musk melon or a netted melon with a grooved surface, or a cantaloupe with a smooth, streaked skin and orange flesh. The canteloupe is from Italy and is named after Cantelupo, a papal property near Rome. It is smaller, spherical, and has a hard skin. 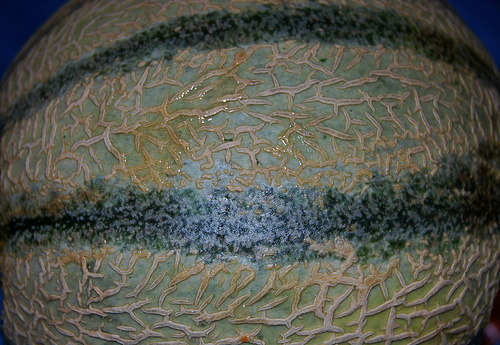 The rind is clearly segmented and smooth although in North America cantaloupe refers to a different variety which is scaly. The flesh has orange flesh with a sweet perfume. July and August are the best months to eat cantaloupes. Watermelon can be round or oblong, has a green striped rind, and weighs up to 15 kilos. It can have yellow or red flesh and sometimes have black seeds. It is in season from June to August. 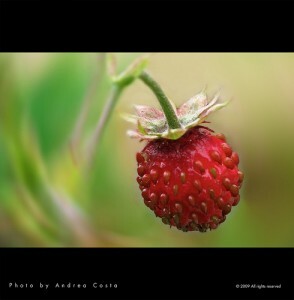 It is eaten fresh, used in sorbets (gelo), ice creams, or preserved (vettaioli). Store: A ripe melon can be kept at room temperature for up to 5 days or a ripe melon in the refrigerator for up to 3 days wrapped in cling film. Do not let the melon get too close to anything frozen or the flesh will suffer. Cut melons must be stored in the refrigerator wrapped in cling film for up to 2 days. Prepare: Refrigerate the melon a few hours before serving. If you are using the entire melon without the skin, then cut off the stem end and the opposite end, place the melon cut side down on the board and use a knife to cut off the skin in strips starting at the top and cutting down towards the board. Cut the melon in half. For melons, other than watermelon, use a spoon to scrape out the seeds. Eat: Melon is normally eaten fresh as a starter with prosciutto (prosciutto e melone), in fruit salads, gelato, sorbet (gelo), in cakes, and tarts. Melon can be candied and used to make panforte. Its sprouts can be preserved (vettaioli). Orange is a citrus fruit which is in season year-round. It was first introduced to Italy by the Arabs. There is a prized type of orange from Sicilia called the blood orange (arancia rossa) as it has red mottling on the orange skin and the flesh is streaked red and orange. 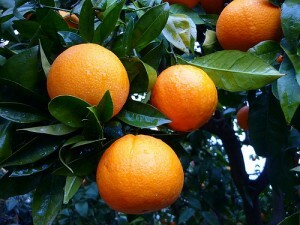 Buy: Buy organic oranges when possible that are firm but not hard and have smooth skin for their variety. They should be free from soft spots or mould. 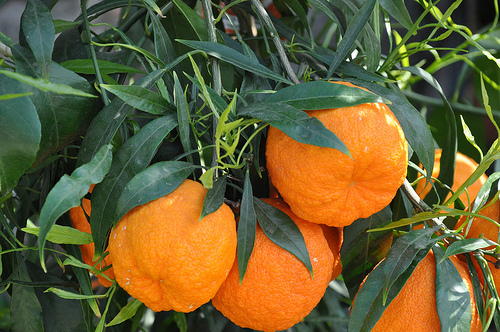 Oranges should be heavy for their size, although some varieties of oranges have thick skins so factor this in. The colour is not a factor in determining the quality of the flesh as it deeps depending on the weather. Bitter orange / Sour orange / Seville orange / Bigarade orange (Arancia amara / Arancia di Siviglia) (Citrus aurantium) are sour and bitter and cannot be eaten fresh. The flowers are used for making perfume and orange-flower water. The fruit is used for making marmalade and for cooking duck. The oil is used to make liqueurs. Bergamot (Citrus bergamia) is a yellow orange with very sour juice and highly aromatic skin grown which is grown in Calabria. It is in season in the winter. Its oil is used to make perfumes and flavour Earl Grey tea. The peel is also candied. Common orange / Juicing orange (Arancia dolce) (Citrus sinensis) is good for juicing and eating. 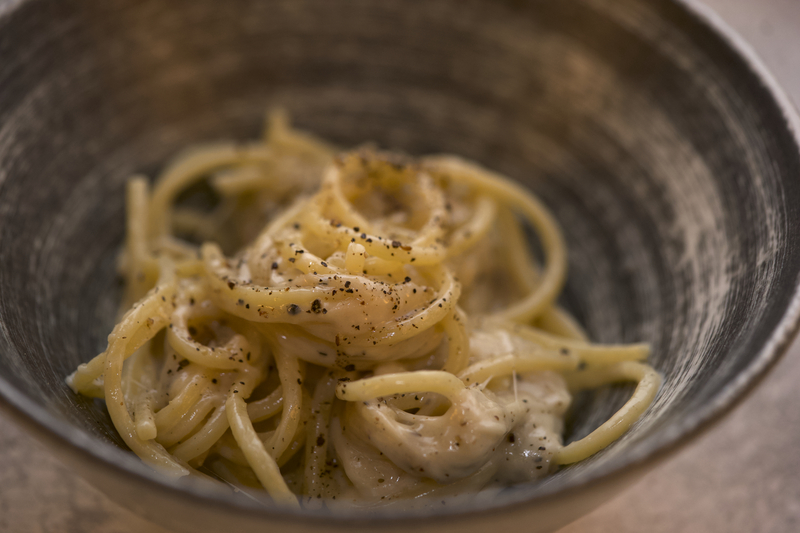 It is widely grown in southern Italy, particularly Calabria and Sicilia. Moro is medium sized, and has very red skin and is often exported. It is in season from November to April but the early season Moro is tart and is best mid-season in January or February. A late season Moro can take on a musky flavour and may turn purple. Sanguinello is in season from January to June. 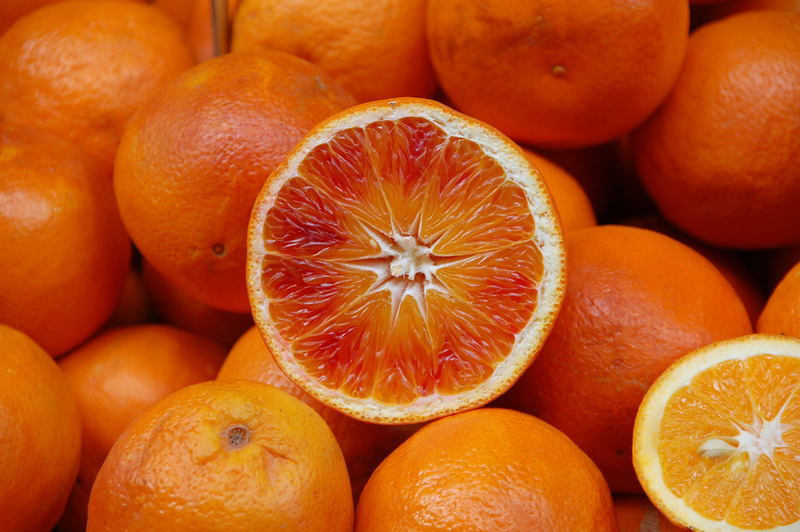 Tarocco has the best flavour of the blood oranges, although is less consistent, and is larger. Tarocco is seedless and the flesh only turns red when it is mature. It has a pale red tinge to the skin and the flesh is not as bright. It is in season from December to April. Calabrese / Ovale is oval in shape, medium-large in size, and is seedless. It is in season from April to July. Navel orange is good eaten fresh or juiced, but must be consumed fresh or it turns bitter. 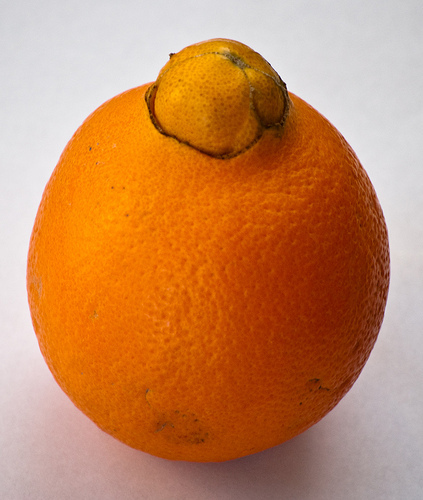 The navel orange has a very good flavour. It has thick skin and a belly button which is actually a small secondary fruit growing within the fruit. Considering the thickness of its skin, if it is sold by weight, it may be relatively less expensive to buy Valencia oranges, particularly for juicing. It is in season from November through March. Valencia is a Spanish orange that is the most common orange in the world. It has thin skin and large, very juicy fruit, excellent flavour, and few seeds. The Valencia is heavy for its size and is good for juicing. It is in season from April to May. The skin can sometimes have green tinges but this has no indication of the quality of the flesh. Store: Oranges can be kept at room temperature for a week or in the refrigerator for a month (if stored where air circulates). Prepare: To zest an orange, rinse the orange and dry it. Use a zester, rasp grater, or microplane to remove the thin orange coloured part of the zest without grating any of the white, bitter pith. Smooth-skinned varieties are best for zest. To skin an orange, cut off the blossom and stem ends. Set one of the cut ends on the cutting board and use a paring knife to make slices down from the top to the board, slicing off strips and working your way around the orange. Cut off any remaining white pith. Slice into rounds or to segment, hold in your hand and slice along the membranes to release the segments. Eat: Oranges are eaten as they are or used in salads (insalata di arance, olive all’arancia), granite, sorbet (sorbetto di arancia), gelato, cakes (torta all’arancia), drinks (aranciata), liqueurs, marmalade (marmellata di arance), with duck (anatra all’arancia), and with pigeon (palomba alla todina). The rind is also dried or candied (zest di Carignano) and added to desserts. The fresh zest is also added to cakes, pastry, biscuits, and cured meats (salsiccia di Monte S Biagio, ventricina di Guilmi, sfarricciato). The orange blossoms are distilled into orange flower water used to flavour desserts. It pairs well with strawberries. Pine nuts are the 2 cm long oblong nuts of pine trees, contained within the pine cone. In Italy, pine nuts come from Mediterranean stone pine trees in central and southern Italy and from umbrella pine trees in Liguria. 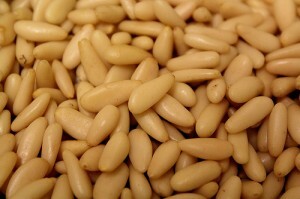 The pine nuts are harvested in September. Buy: Buy in small quantities as the resinous oils in the pine nuts spoil quickly. 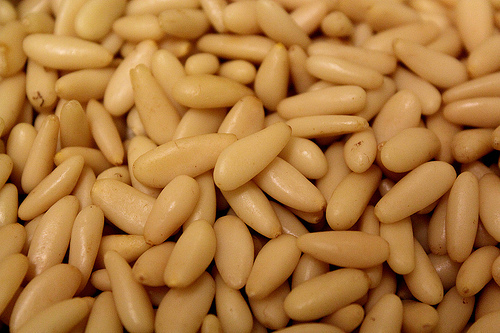 It is best to taste the pine nuts prior to purchasing to ensure their freshness. Avoid pine nuts with a dark patch at the narrow end. Store: They can be stored sealed in the refrigerator or frozen to keep the oils from turning rancid. Prepare: Toast the pine nuts in a frying pan or on a sheet pan in the oven until golden to bring out their flavour. Eat: Pine nuts are used to add flavour and texture to salads, stuffings, sauces like pesto, and in desserts like cookies (pinolata, torcolo) and cakes (pinoccate, torta della nonna). 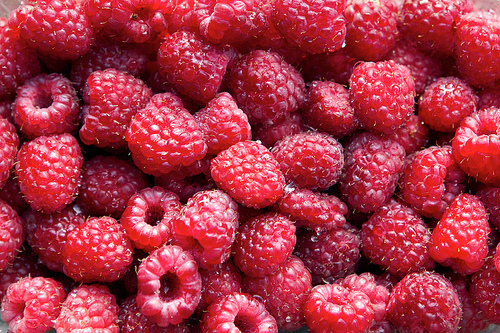 Raspberry is a fruit which has an intense, astringent flavour and high vitamin content. Traditional Italian varieties grow in Pistoia in Toscana and in Torino and Cuneo in Piemonte. They are also grown in Lombardia and grow wild in Alpine woods. They are in season from June through September. Buy: Raspberries can be wild or cultivated. They are typically red or black but there are also yellow, orange, and purple coloured raspberries. Inspect the package to ensure there are not any juice stains from crushed berries. 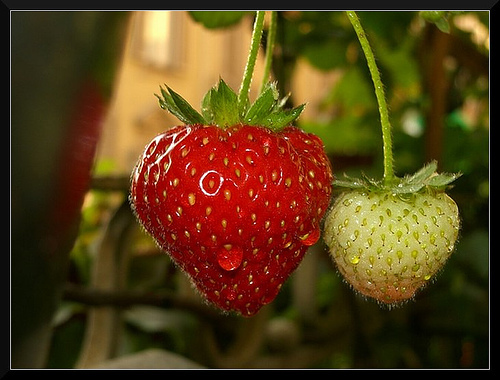 Select plump berries which are free from mould in the stem cavity. If they are bought loose, only package 200 grams at a time to ensure they don’t crush each other. Store: Raspberries are very fragile and highly perishable so if possible, buy them local to where they are grown, in season, and have been harvested when ripe. They cannot be stored for very long and are best eaten when purchased. They can be frozen on trays and then transferred to plastic bags to store in the freezer when frozen. Prepare: Line a tray with kitchen paper and place the berries on top. Look through and discard any mouldy ones, stems, or leaves. 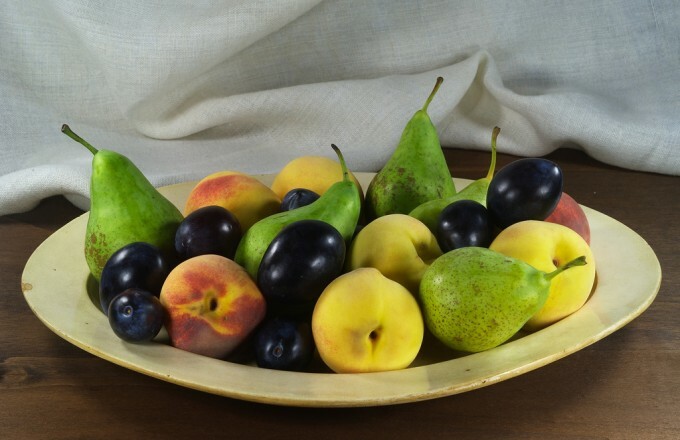 Eat: They can be eaten fresh on their own or with cream, pastry cream, or other fruits such as other berries, nectarines, or peaches as is or on top of tarts. They can be made into gelato, sorbet, cakes (torta meringata ai lamponi), moulds (bavarese ai lamponi), gelatines, mousse, jam, essences, sauces, and syrups. Raspberries are often combined with strawberries, blackberries, and blueberries and sometimes with redcurrants to make sottobosco or frutta di bosco, a mixed berry mixture dressed with lemon juice and/or sugar. They pair well with chocolate.